Access to and disposal of sterile syringes was the first service provided by SACHR when we opened nearly 30 years ago. The goal of our Syringe Access Program (SAP) is to provide clean needles at no cost for injecting drug users. When SACHR opened its doors in 1990, there was a 60% HIV incidence rate among the city’s 250,000 people who injected drugs. 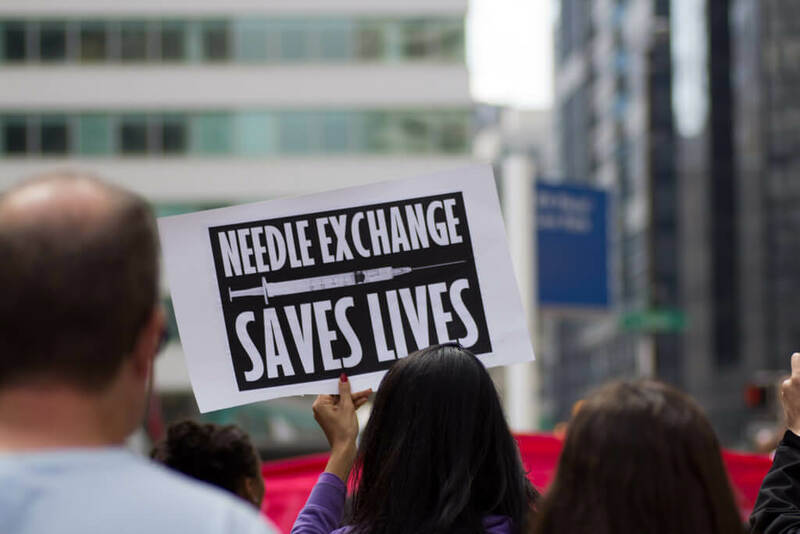 As a result of this and other similar program efforts, the HIV incidence rate in New York City has dropped to under 3% among people who inject drugs. We believe that by 2020, there may be zero new HIV infections through Injection Drug Use. We still continue to fight to lower the amount of overdoses, Hepatitis C and HIV infections, and stigma that the people we serve face every day. Where is the closest Syringe Access Program to my location? Click here to find out.